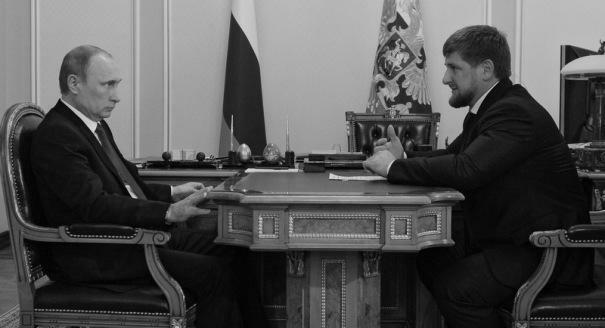 Never shy of putting himself center-stage in the big issues of the day, Chechen leader Ramzan Kadyrov is offering to lead Russia’s fight against the so-called Islamic State, with both force and persuasion. 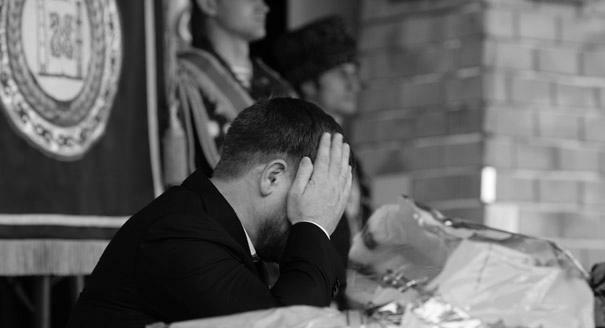 For Kadyrov, the war against Islamic State is crucial for two reasons. First of all, fighting the self-proclaimed Caliphate provides the Chechen leader with another opportunity to demonstrate his loyalty to Russian President Vladimir Putin. Last year, Kadyrov did the same at the height of the Ukraine crisis, when he dispatched thousands of Chechens to fight there. In similar fashion Kadyrov has said he is ready to deploy the Chechen battalions subordinate to him to win a swift and decisive victory over Islamic militants in the Middle East. Meeting members of the Chechen Terek rapid response battalion, Kadyrov boasted that they could “quickly tear apart” Islamic State. In this way, Kadyrov, who long ago rose to be a leading figure in Russia’s domestic policy, also aspires to a role in Russia’s foreign policy. But fighting against Islamic State is also a domestic issue for Kadyrov, as he seeks to maintain stability in Chechnya and consolidate his own power. The movement has proclaimed that it is ready to stage an uprising in Chechnya and “liberate” it from Russia—and therefore from Kadyrov. It has offered 5 million dollars for Kadyrov’s head. The combined “value” of his twelve closest associates is 25 million dollars. No one can say how many Chechens sympathize with Islamic State and how many have gone to the Middle East to fight—and how many have returned. Estimates have ranged as high as 7,000—although Kadyrov on November 15 put the number of Chechens at 480, of whom he said 200 had been killed and 47 had regretted their decision and returned. In 2014, Kadyrov said that “terrorists cannot be cured, they can only be destroyed,” but lately his approach looks to be more pragmatic. Talking about Islamic State recruits, Kadyrov has used his favorite term of abuse, calling them “shaitans” or devils. If devils have taken over a person or a place, they need to be exorcised, and Kadyrov also seems to be favoring state-sponsored exorcism. Kadyrov and his state-sponsored clerics are meeting with the relatives of individuals who are reported to be interested in moving to the Middle East, individuals who are recruiting young Chechens, and individuals who have tried and failed to join the Islamic State, all in the name of prevention as a type of cure. Kadyrov increasingly refers to Islamic State sympathizers as “lost souls” and calls upon them to repent. He appeals to the families of Chechens who have left or plan to leave Russia and continuously reminds these relatives of their responsibilities for their sons and younger brothers. This is not a new tactic. In the last decade, the authorities have targeted the families of men who have absconded to join the Islamist rebel insurgency and even destroyed their houses. These punitive actions by the Chechen authorities were a clear violation of the Russian constitution and the subject of justifiable criticism from human rights activists. But they seem to have support amongst much of the Chechen public, who are proud that their republic is an orderly place. 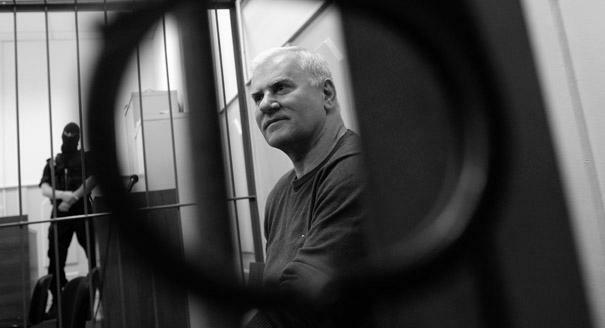 During my last trip to the Chechen capital, Grozny, I noticed that my driver did not always lock the car and sometimes did not even close the windows. When I expressed surprise, he simply said, “Cars aren’t stolen here anymore, this would be a disgrace for the entire clan; such is the way of our people.” Clearly my driver was not the only Chechen to hold this opinion. In late October, a group of seventeen to twenty Chechens who were reportedly planning to go to the Middle East was detained in Moscow. The young men were brought to Grozny, where they appeared before Kadyrov. Their encounter was aired on national television channels. The Chechen leader did not threaten them, but rather sought to explain to them the error of their ways. His oft-repeated argument is that the Islamic State fights against Muslims and is actually bankrolled by Western special services. However, one of his statements deserves particular attention: “Why fight for some unknown entity when there is still so much to do in Chechnya?” Kadyrov is confident that potential transgressors can ultimately be “guided back onto the right path.” If that is his ambition, he has a lot of work to do. Law enforcement sources believe that two groups of Chechens are already en route from Moscow to the Middle East. Whether he succeeds in this mission or not, Kadyrov is evidently backtracking from his previous assertion that “terrorists cannot be cured” and trying to rehabilitate former Islamic State fighters as well and lure some of them to work with him. This modus operandi is reminiscent of the way Vladimir Putin once operated with regard to Chechnya itself, through his policy of “Chechenization,” in which he moved to co-opt some of the Chechen separatists and above all Kadyrov’s clan. Kadyrov’s efforts to stop the recruitment of Muslims to the Islamic State may have another effect, and increase his standing with the rest of the Muslim community in Russia. Of course, the experience of Chechnya cannot be directly translated to other republics of the North Caucasus, to the Volga area or to other regions of Russia. However, Kadyrov’s new approach of combating the Islamic State by working on their relatives and friends and offering assistance to returnees, deserves close attention. There is every sign that some Russian Muslims will continue to join extremist Islamist movements around the world and this problem shows no sign of letting up any time soon. Chechnya’s Strongman vs. Moscow’s Men in Uniform: What Next?